Thank you for the translation. It’s so difficult for those of us who don’t understand Italian! What a wonderful interview…..and how lovely and sweet are these three fantastic young men. They all have such loving hearts and are truly gentlemen. A beautiful and emotional interview. Thank you so much Silvia and thank you so very much Daniela for the translation. Barbara, did you see how relaxed the boys were? I think they had a great time. Daniela, you and Pat have outdone yourselves this time. Thank you for the one I have been waiting for. I use Google Translate which works great with written text, the verbal translations do not always work for whatever reason, probably my fault. Our boys have expressed themselves beautifully as usual with a maturity beyond their years. By the way, Gianluca girlfriend’s name is Francesca, not Gertruda or Aureliana. Daniela I hope you are well. You’re welcome, Rose Marie. I was also very impressed with what they guys had to say! I had never seen the tender side of Ignazio until he leaned closer to Silvia and complimented her. That was fantastico! Yes Pitterpat I agree with you, you can tell how he treats his sister, his fans and his pets that he is a tender hearted soul. Gg and Piero also. Silvia has managed to open the hearts of our guys. How much sweetness and how much laughter! thank you so much for the translation.Loved it!! Kate, I’m glad you liked it. Thank you dear Daniela! I watched the interview in Italian and of course I didn’t understand but a word here and there, but I thought and I hoped that you would translate it for us and so you did. It was a terrific interview and you did a super job once again. Without you, our understanding would be so much less. Thank you again. Jeanette, I couldn’t let you not understand this beautiful interview. Thank you Daniela for this. I watched the videos yesterday and with my VERY limited Italian was able to catch the drift of some of what they were saying–the bit about the foreign languages, when they were talking about girls–although not exactly what they said–etc. It’s a wonderful video and they really were in top form! I had to laugh when Piero said the girls go for Gianluca and the mothers go for him and the grandmothers are for Ignazio! We should take a survey on the blog and see if that holds true here! I think a lot more than just girls like Gianluca! Likewise Piero and Ignazio! What do you think? Penina, I think that everyone likes them, from little girls to grandmothers. I believe that there is no boundary defined by age, it is our heart that leads us towards one or the other, but it is only an added pleasure, because in reality we adore them, all three. this translation. If I was in Italy I would give you a big kiss and hug you!! Connie, I must say that you are all good, because a few words there or there, try to understand a language that you don’t know. Even if you’re not in Italy, your kiss and hug, it’s like it came, thanks. I too watched the interview and was hoping that our Daniela would translate it. Thank you! It was very touching ! Our guys are so sweet and have such sensitive hearts . Their loving personalities and beautiful voices just draws you into their realm. I have to say that the song A Chi Mi Dice does it for me. Love it! Thanks Annette, I have to say that all of you, you trust me to translate things for you, and I can’t disappoint you. I like it too A CHI MI DICE. Thank you thank you thank you for the trabslated interview. So special. Kathy, I’m very glad you could understand this interview. So wonderful to have the translations. I really appreciate your efforts for us. I watched the link and enjoyed the exchanges between them, but it is helpful to also know what is said. I am very happy with this positive journalism. The guys deserve a lot of high praise. So happy for the standing ovations. Loved the previous article on Barbara. I am delighted to have found this fan club. There is such richness here—and great love. I have nearly completed 100 miles of the 500 mile pilgrimage. I have lit candles and said prayers for IL VOLO’s continued success, well-being, prosperity and joy in 4 churches so far. 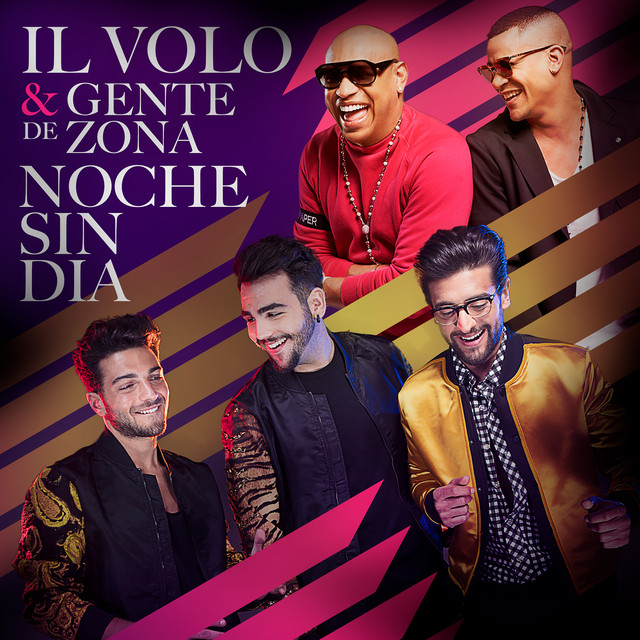 Photos are posted on the official IL VOLO fan club pages. Crystaldawn, you’re doing great. Congratulations on the path of your already made pilgrimage and strength and comfort for what you still have to do. Joan, read your comments, it makes me understand that my efforts are very appreciated. It is true, it was an incredible interview, the boys put their hearts in the hands of Silvia, who loved them. Daniela-wonderful translation as always! I did watch it and was able to get the idea of some things they were saying, but was looking forward to your translation because it seemed as though it was a very heartfelt interview. When I first saw Silvia I said to myself she looks a lot like Gianluca’s girlfriend and he even said this to her later in the interview when she asked him if she was Italian. Very endearing interview once again showing their individual personalities but their same gentle souls. Thank you for your hard work as always. Susan, I’m so happy to be able to help you understand what is being said. Piero Ignazio and Gianluca were very relaxed, evidently they understood that Silvia esteems their work and also their personalities. If I think I had to be there to watch the program recording ….. I eat my fingers. Thank you so much for the translation. I think it required a lot of work and you did it so quickly. As I watched the interview I got more of it than I expected. My understanding of the language seems to be improving. Why on earth didn’t our parents teach us? Such special young men. Joan, this translation took a lot longer than I thought, but I knew you all were waiting, so I tried to finish quickly. Daniela and Pat, I watched the interview last night and also understood only a few words here and there. But I was so intrigued by watching their mannerisms, their teasing, their interaction with each other and just their way of being, and the interaction with the host, that not understanding all the words was not so important. But I hoped you would translate the interview, and I was so happy to see this post this morning. They were wonderful and again showed themselves to be humble, funny, sensitive and just real people. Thanks so much for helping us all understand the interview. I really look forward to whatever you have for us every day. Janet, it is true, they fascinate us even with their movements. I am happy to have helped you in understanding their words, always sweet, our golden boys. Wonderful translation Daniela, thank you so much. The boys are fantastic. It’s a great pleasure to read the interview and watch it, now I know what they are talking about. Once again thanks a lot Daniela and Pitterpat, you are irreplaceable. Thanks Jolanta, all the interviews of the boys, they are beautiful, but there are interviews that have an extra push, and this, is one of those. You are right Pat, their interviews mean so much more when you can follow what they are saying!!! Many thanks for your fast implementing of this interview. Daniela, you must have spent the whole weekend translating this interview for us, so fast!!! Believe me, your hard work is so very much appreciated. I am so very proud of all three of them. They were so comfortable and at ease with Silvia and they revealed their true characters in a most charming way!! Yes, Ineke, I agree with you, the boys were perfectly at ease, like in a living room, and they were simple but so adorable. I didn’t spend all weekend, unfortunately I had very big problems to solve. Thank you, thank you, thank you Daniela!!!! Judith, I’m glad you liked it. Eileen, we like to follow these guys, step by step, and they don’t deny this. Every time we discover things that we like more and more. much appreciated, ladies! The whole program is a delight to watch, even more so with your work of translating! Color du jour, it was really a pleasant program, and it was nice to be able to translate it for you. Thank you Daniela. I can only repeat what all these other fans have said. I watched the whole interview in Italian and I was thrilled that you translated it for us. These young men are absolutely unique in their talent, their heartwarming friendship with one another, their loyalty to the management and team and the representation of their art. They never fail to impress. I agree with you Chris, they are UNIQUE and never fail to impress. Daniela you are a treasure. You can’t imagine how much we value your translations! Dear Laura, I ended up really late translating this interview, but I knew that all of you, were waiting and couldn’t wait to read what was said. I must say that I, too, appreciate the interviews more, making them pass sentence by sentence. Thanks to you, Beverley, we hope there are others, it’s nice to be able to help you understand. Yes she went beyond the call of duty this time. But good, my friend !! Deborah, your efforts to learn Italian, are becoming increasingly evident. Very well, at the next instore, you can have a long talk with the guys. Dear Daniela, I have watched this interview at least seven times, joined every club that was available, scanned each club up and down looking for a translation. This is brilliant! You covered all of it! I can’t imagine the time you spent doing this. I appreciate what you’ve done so much. I can’t thank you enough! Susan, but how much time have you lost searching here and there for the translation. I tell you one thing, whenever there is an interview or an Italian article, check right away here, in this blog, because here there will certainly be my translation. The same translation is then published on our fanpage on facebook: Il Volo Flight Crew fanpage. Thank you so much Daniela for this really lovely interview of Il Volo with Silvia. The translation must have taken so much of your time and we appreciate how much you do to help us enjoy more fully these interviews. Piero, Ignazio and Gianluca were very comfortable and had fun talking to Silvia. It’s such a pleasure to see them with someone who is smart, kind and very thoughtful! The more you see and hear them, the more you love them! Right Margaret, the more you hear them, the more you love them !! There are singers, that when I knew their personality, I thought: “you sing well, but otherwise, I don’t like you”. 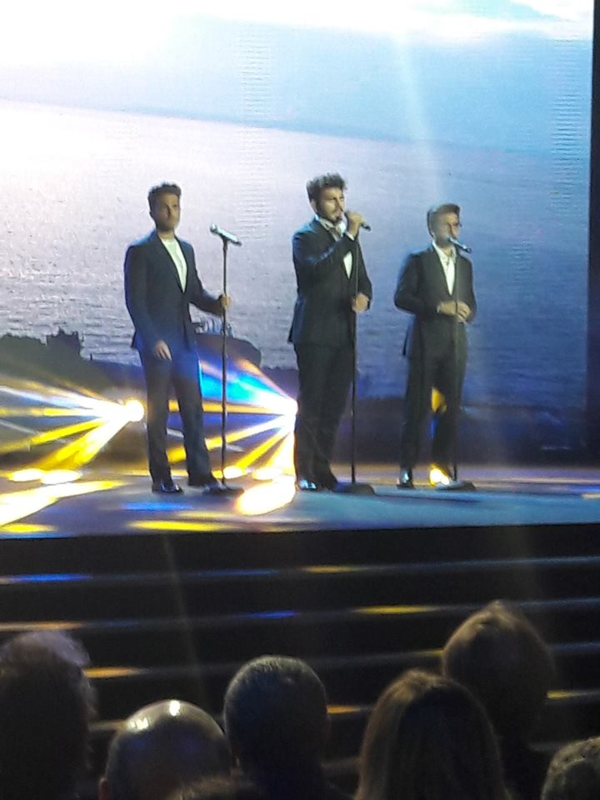 Not so with Piero, Ignazio and Gianluca, they sing well and are special boys. Precisely for this reason my final thought is addressed to what Piero said, yes, they like us for the beautiful song, but also for the beautiful people they are.